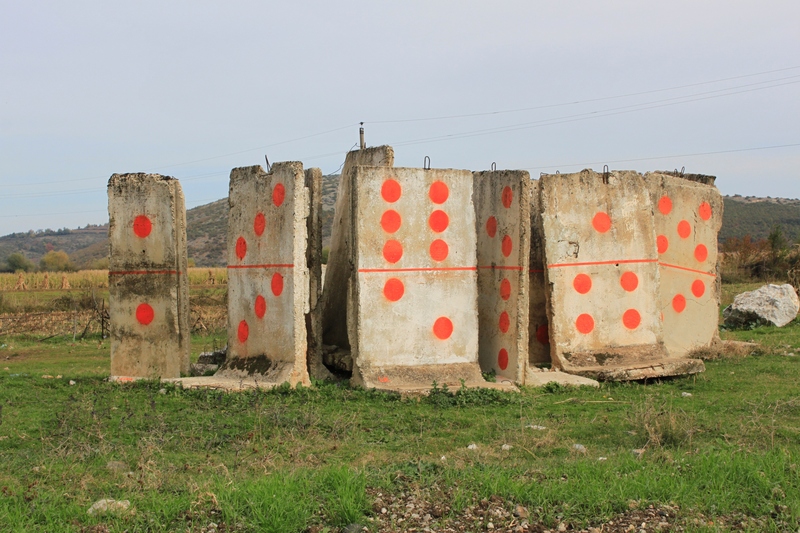 These concrete blocks, looking so much alike the Berlin wall parts were used in Albania to build silage storage during agriculture collectivism. Nowadays, they belong to no one. They seem monuments dedicated to “public property”. The intervention is like a signature, transforming a futile thing into a provocative object. Below, you may watch a you-tube video, extracted from Vizion+ Channel news. This video speaks about this urban art-piece and about people’s feedback latter on. The work got exhibited in Berlin, on November 2015 at Neurotitan Gallery. Click here to get more info about the exhibition. This entry was posted in Intervention by lediakostandini. Bookmark the permalink.